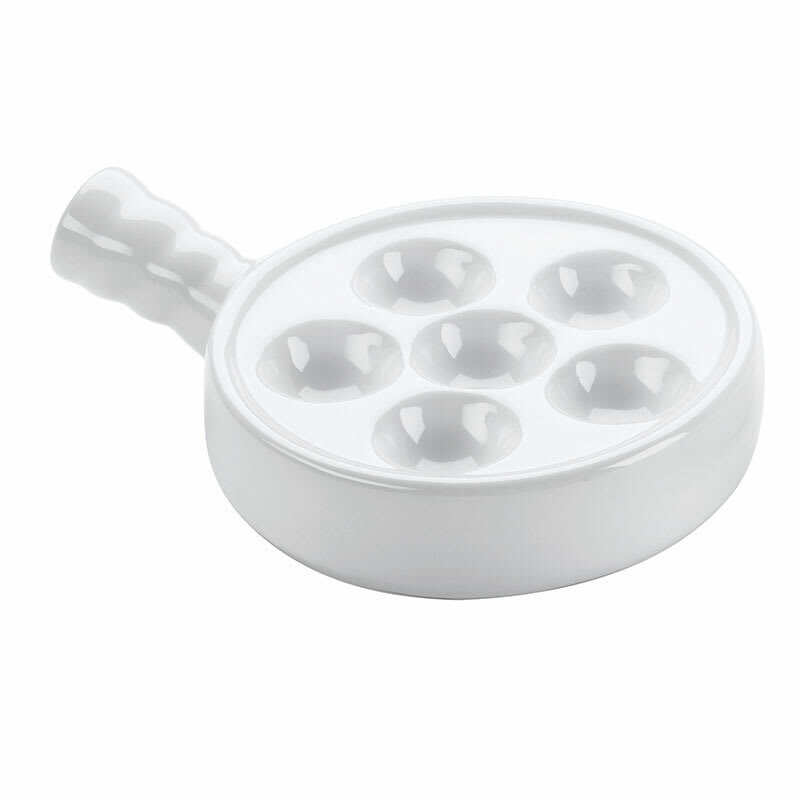 The Browne 744042 escargot plate allows you to neatly serve savory escargot without having them slide all over the plate before they get to the tabletop. The 5-inch-diameter is great for small to medium portions; there are six holes for the shells to sit in. The side handle makes carrying the dish from the kitchen to customers simple. The white finish on the Browne 744042 escargot plate looks classic and is simple to keep clean. "The wells in these dishes are extremely small!!! You will definitely need a mean after this appetizer." "very happy. Dishes came in excellent condition. well packed and fast delivery." "They work awesome and priced perfectly!" "I found this company totally dedicated to customer care. KaTom prepared me to receive my order with an introductory email then followed up after products arrived. When I mentioned one item was damaged a replacement arrived promptly. I will do business with this company in the future. They truly care about their customers." "Looks just like the photo. Love these dishes!" "Was very happy with my escargot plates. Very nice product for the price." The dishes the second delivery were great. "You need to work on packaging dishes much better, the first delivery I received were all broken. Know bubble wrap etc. just wrapped in one sheet each and not secured."